If we wanted to boil down Welcome to the Dungeon to its simplest form and end the review in just one sentence, all I would have to say is that it’s the most colorful, card-like game of chicken I’ve ever played. But that would be a boring review, so I’m going to be a bit more wordy than that. Welcome to the Dungeon is a card-based press-your-luck game by Masato Uesugi and excellently illustrated by Paul Mafayon. If I had to quickly draw a comparison, I would say it’s like Zombie Dice with dungeon-diving and cards. But that would be doing this game a bit of a disservice. Zombie Dice is fun. But we’re not talking about that game. 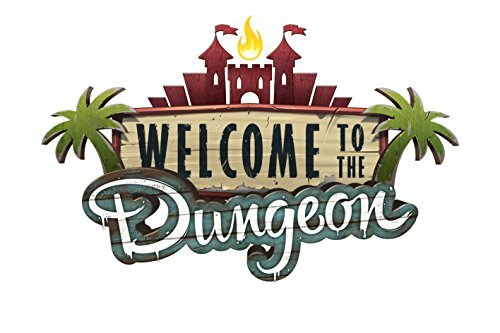 We’re talking Welcome to the Dungeon. So, is this game any good, or should it be left in the Budget Bucket?